"Catching the Moon" is Jamm's launching art show in Dubai, and it's happening tonight in Al Quoz 1, near the Alkersal Avenue, street 8, Warehouse 11, Building 19. Jamm is a regional Art consultancy that focuses on promoting Arab and Iranian artists in the Western World and vice versa, kind of a cultural diplomatic organisation. 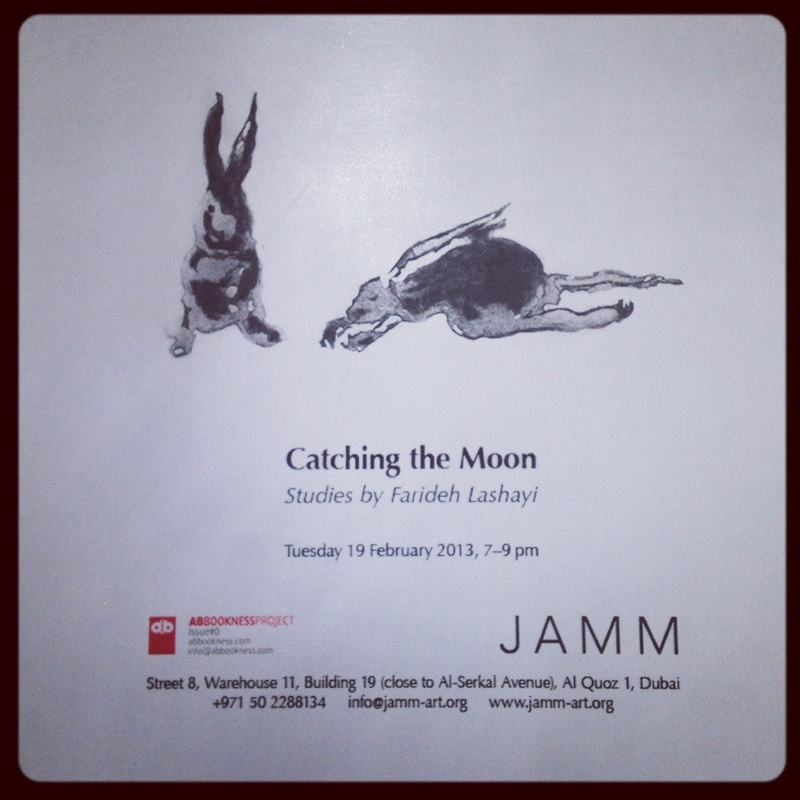 This first show exposes the work of Farideh Lashai who's an Iranian painter.She did a lot of video work so the concept behind this exhibition is to explore the way her drawings and sketches travel through the different media, following the story of a rabbit playing with his reflection in the water: from paper to video. "Farideh’s work is celebrating the fool. The fool is the rabbit, the artist that hunts the shadow, the dream, but a dream that affects and transforms reality and creates a reality of its own." I personally love the invite, reminds me of the "Ernest and Celestine" children book collection, my favourite.